The name “Fusion” is not new to the Callaway product line, however golfers will be treated to some new technological concepts in this release. This tech will help to allocate weight to the appropriate locations, alongside the ever popular hyper speed face cup tech that Callaway has found great success with in other offerings. Forget square pegs and round holes, it is time to dive into a triangular profile that is both aesthetically pleasing at address, and intriguing. From Callaway: Maximum Forgiveness From Fusion Technology – Big Bertha Fusion pairs our ultra-light triaxial carbon crown, that’s 78% lighter than a typical steel crown, with a steel body. The fusion of these materials allowed Callaway engineers to position substantially more weight in the perimeter and far back from the face compared to our previous fairway woods, resulting in higher launch and more forgiveness. The carbon crown plays a major role in both the visual perception of the Fusion fairway, as well as the overall results of the head. Being able to allocate that much weight into other areas from previous offerings is an exciting concept for golfers seeking additional forgiveness and weight lower in a head – the potential seems endless. 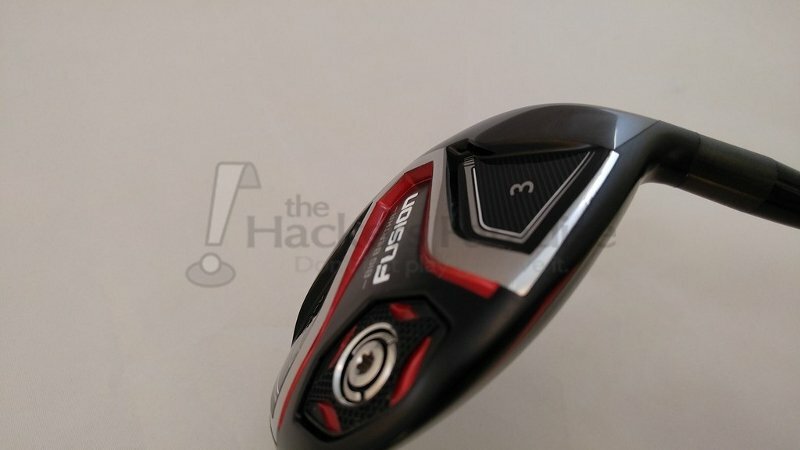 Callaway claims higher launch and more forgiveness compared to their previous fairway woods, and it seems like both elements have been delivered in the Fusion fairway. During testing, including multiple swing styles and speeds, a consistently higher-than-expected peak height was achieved on a regular basis, both off the fairway lie, and more notably off a teed lie. It became a pretty constant conversation about peak height for this reviewer (a high ball hitter) and playing partners that unleashing a standard swing with the Fusion fairway could ‘bring the rain’ later in the day. 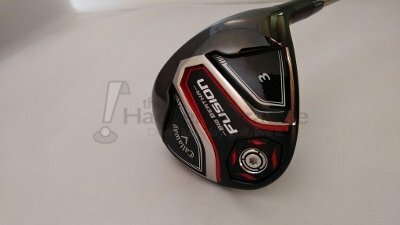 For those who typically played a lower flight overall, the Callaway Big Bertha Fusion fairway introduced some very nice launch angles, and in some cases showcased a nice combination of height and roll. It did take some time to accommodate the recoil “ES” shaft, however the shaft proved to be very nice neutral ground for most swing types. Faster speeds did not overpower the profile (which makes sense based on the ‘enhanced stability’ naming convention), while swings at a slower speed still gained launch and flight benefits from the overall shaft profile. 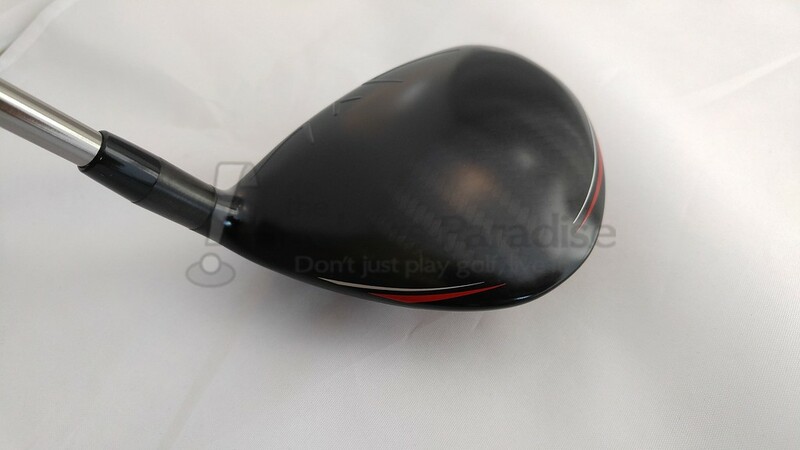 With regards to forgiveness, there is a definite benefit to gaming the Callaway Big Bertha Fusion over other limited profile fairway woods, including some of the other ‘pro’ offerings from the Calaway lineup. The Fusion fairway seems to target the player who may not be making perfect contact on a consistent basis, or finds various parts of the head depending on the swing. 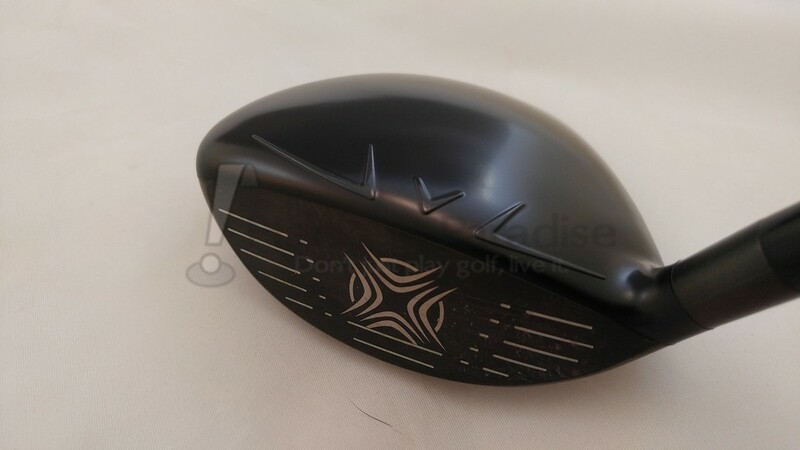 Between the nice face depth to the weight allocations allowed by the triaxial carbon crown, testing of the Fusion fairway proved that less than stellar strikes still rewarded players with decent to above average results. This includes both contact location but also swing plane variance, where results stayed closer than expected to the central aiming point despite sidespin being introduced. Because of the sound profile (addressed later in this review), shots that strike the lower portions of the head will leave a bit to be desired, however the overall results are still quite decent. This will require the golfer to focus more on overall results rather than any sort of manufactured sound as the ball nears the extremes in the lower half of the face. Adversely, the Fusion Fairway seems to thrive on contact slightly above center, introducing a very robust sensation and appealing flight and distance. From Callaway: Forgiveness and Power From A New Shape – The triaxial carbon gives us the ability to break previous tradeoffs regarding head shape, allowing us to create an appealing new shape with extremely high MOI. The new shape also gave us new options in acoustic engineering, with more freedom to evoke an especially satisfying sound and feel. Sound – There is something quite different about the Fusion fairway from other Callaway offerings. Hitting side by side with the 2016 Callaway offerings leaves a bit to be desired due to a lack of manufactured sound, but take away the comparisons, and it is a delightfully subtle, contact heavy sound and sensation when the head strikes the ball. Not only does the sound provide a clear understanding of perfect contact, but it also has a notable change when moving towards the extremes which helps the golfer understand what sort of contact quality they are generating. Arguably the most robust contact location is central but higher on the face, which gives a great sensation of almost hitting through the ball at contact. New Shape – This is definitely one of the most visual elements of the Callaway Fusion fairway wood, and something that is immediately discussed when placed at address. While the face and front end of the Fusion is quite similar to other offerings, the back of the head curves into a subtle triangular profile, combined with the visible carbon fiber and red and white graphics that shape around the outside of the crown. This draws the eyes around the head in a very fluid way, blending technology with pleasing visuals to give a comfortable presentation at address. From Callaway: High Ball Speeds From Our Face Cup – We’re serious about giving you the most distance in a fairway wood, which is why we’ve put in our industry-leading Hyper Speed Face Cup. It’s designed for high speeds that make the ball fly farther on center hits and off-center hits. During testing, the ball got off the face in a big hurry when teed up, mostly in trajectory. Hyper Speed Face Cup is not anything new to the Callaway lineup, but it does seem like this face is as lively as one should expect from a Callaway offering. After a couple sessions with the Callaway Big Bertha Fusion fairway in play, there was an expectation of hitting a number regardless of contact, and that is quite telling of the face performance both on and off center. Golfers who are seeking help with launch, spin, and overall fairway wood forgiveness will undoubtedly enjoy the benefits and design of the Callaway Big Bertha Fusion fairway wood. It proved to be versatile in all situations, with the visible technology aligning very well with the existing visual elements at address. For more information on the Fusion fairway, visit www.CallawayGolf.com. Great review Dan. I wasn’t quite sure on the Fusion line but it was grown on me because it flat out performs. I will be looking to add this to the bag. I stopped bagging FWY woods last year, but seeing the increased forgiveness and higher launch I might ponder this one. Solid review. I have played one round with this 3 wood and can confirm it launches higher than any other 3 wood I have used (Ping G and G30, Big Bertha). I have a slow swing speed and this is easy to hit solid. I like the muted sound and how it sits behind the ball. I disagree completely with another reviewer who commented this is just an older model with added “bling”. Great review Dan! Seems like Callaway has a winner!